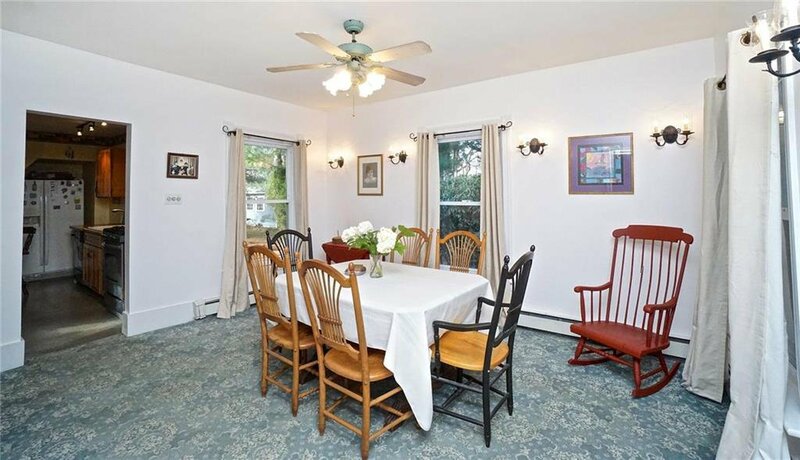 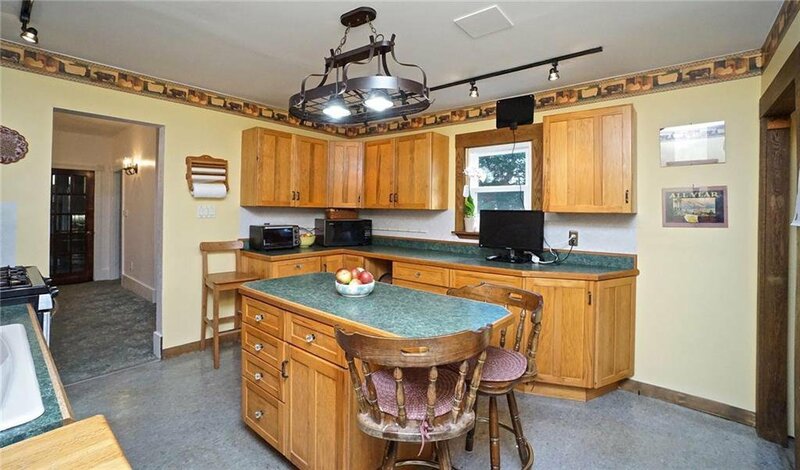 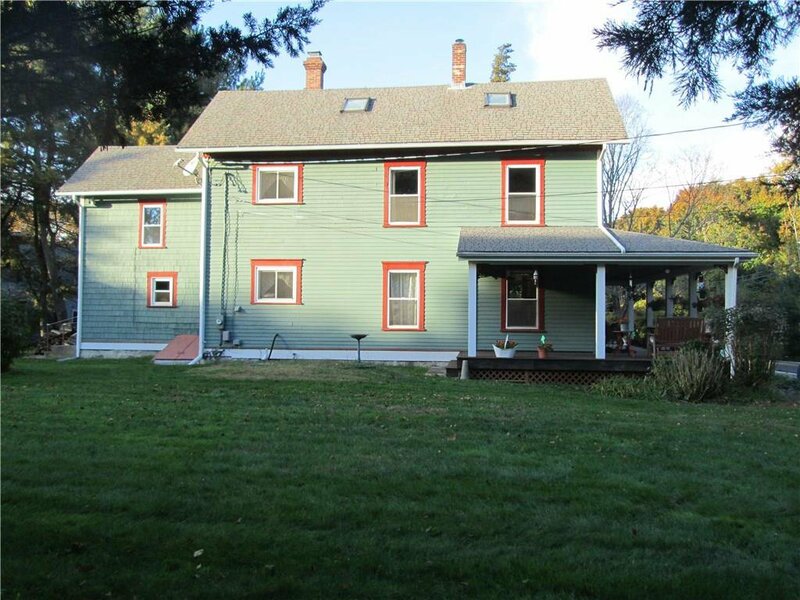 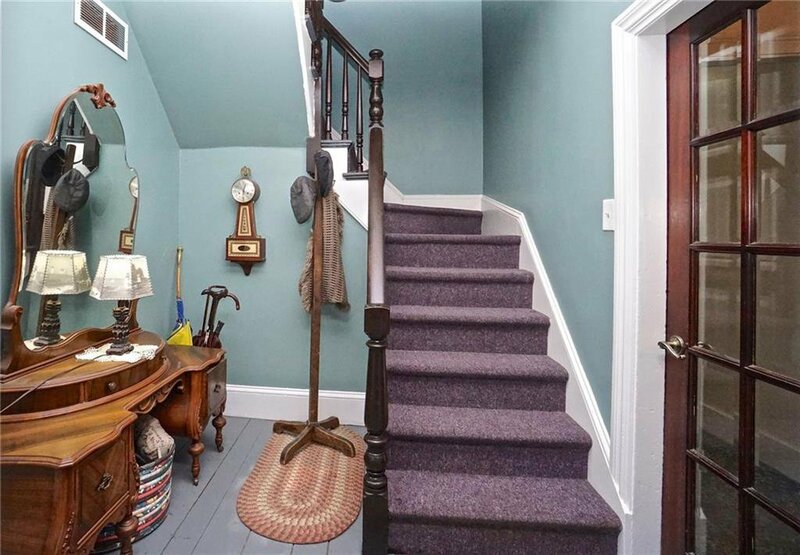 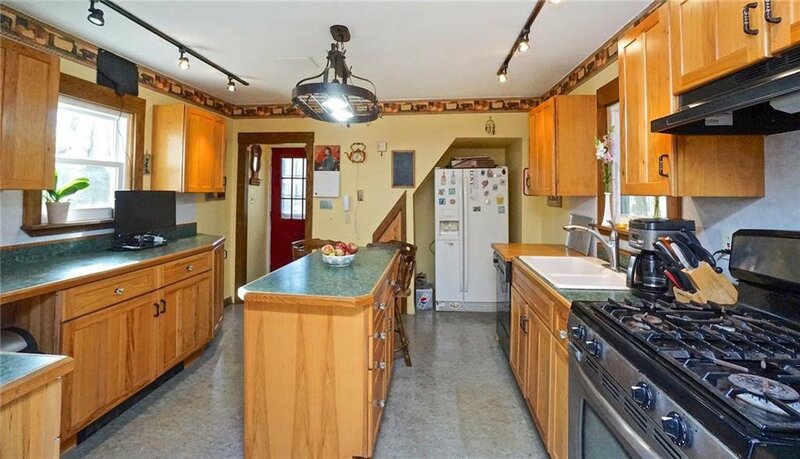 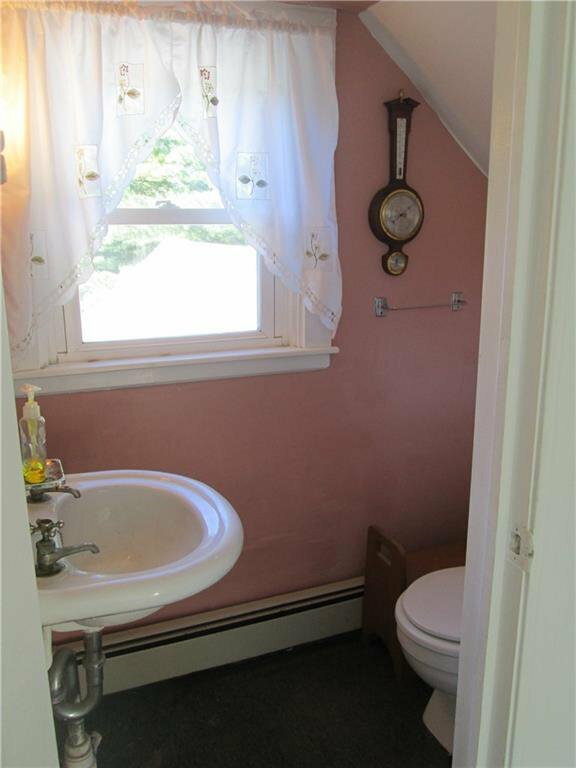 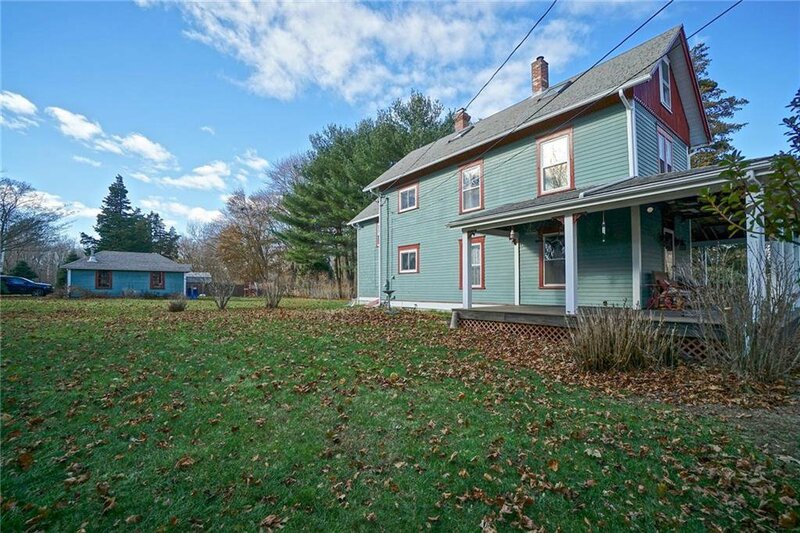 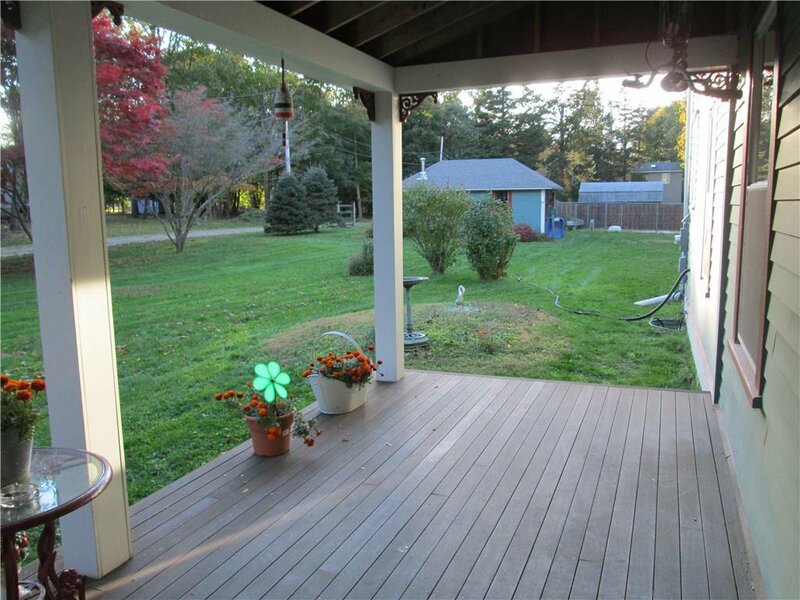 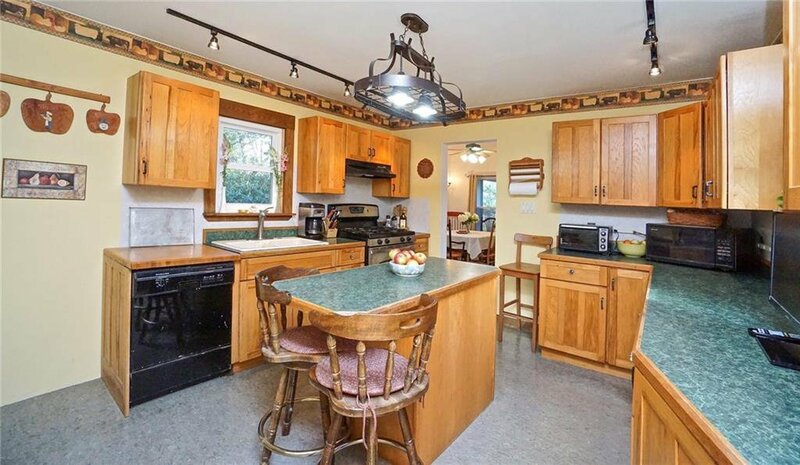 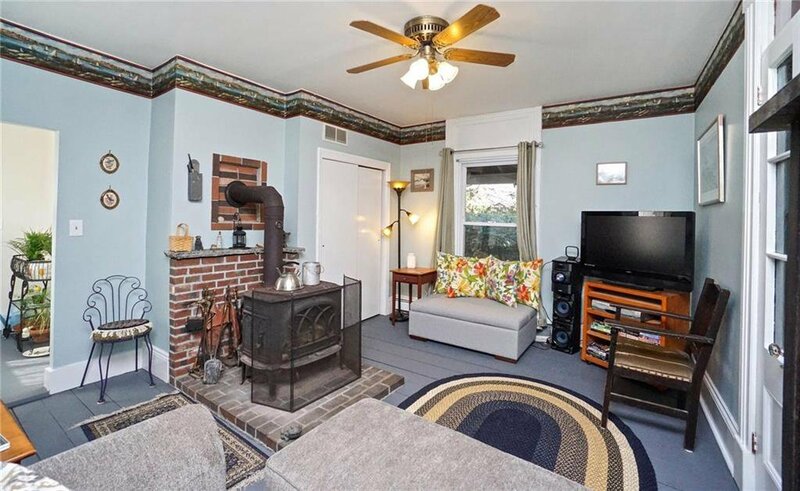 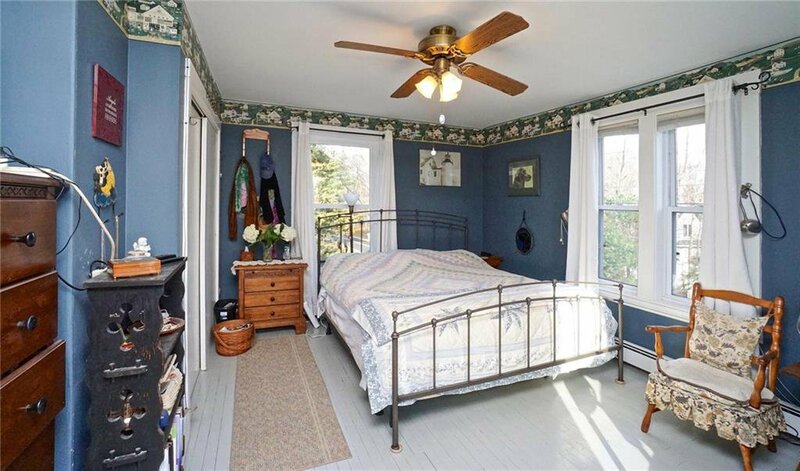 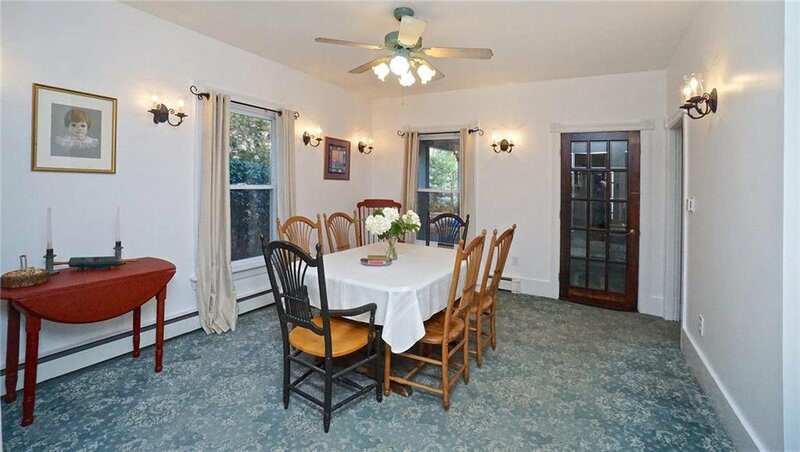 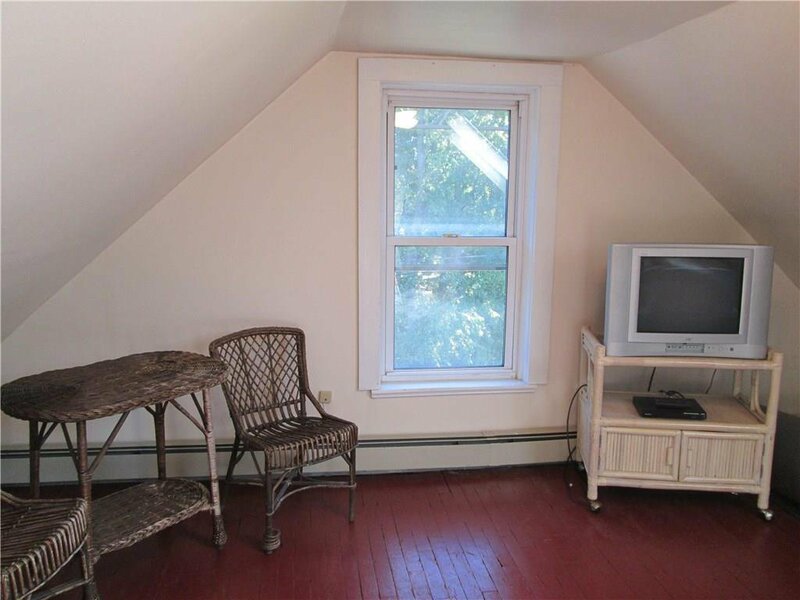 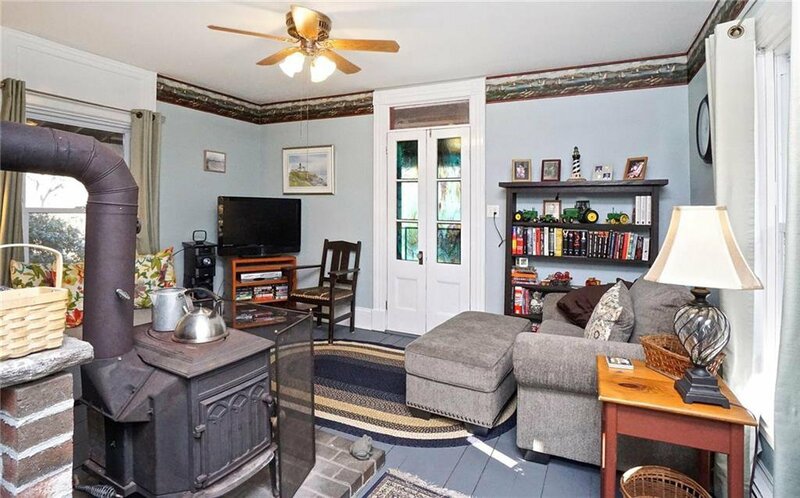 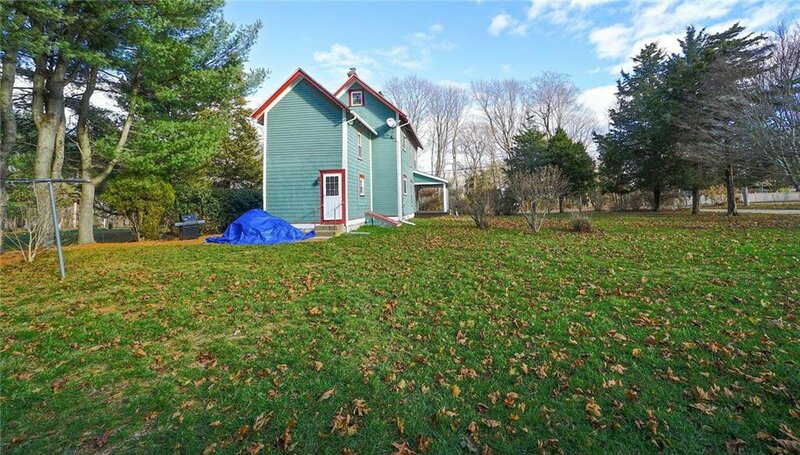 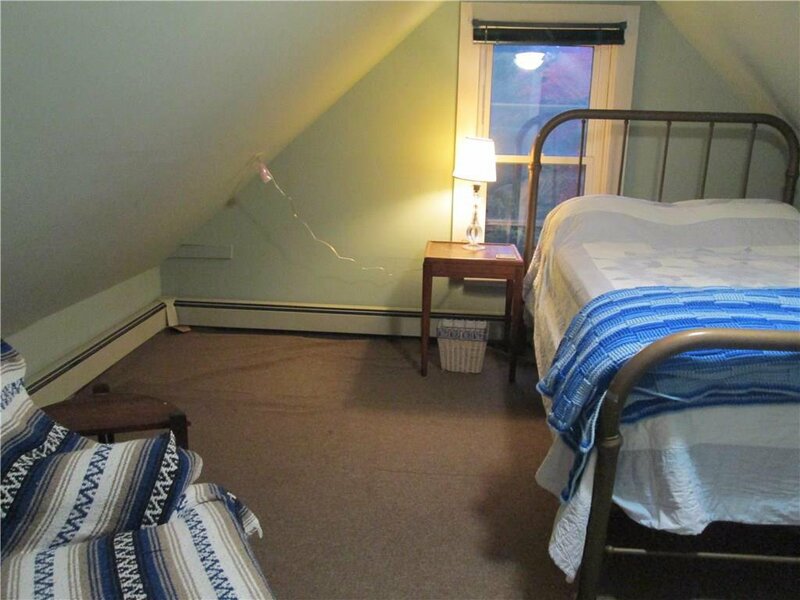 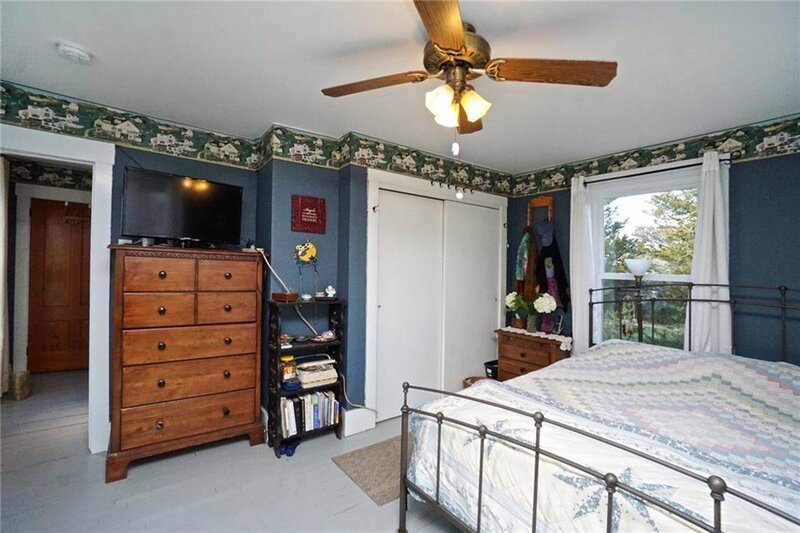 This 1874 Victorian is one of the first Conanicut Park area homes in Jamestown! 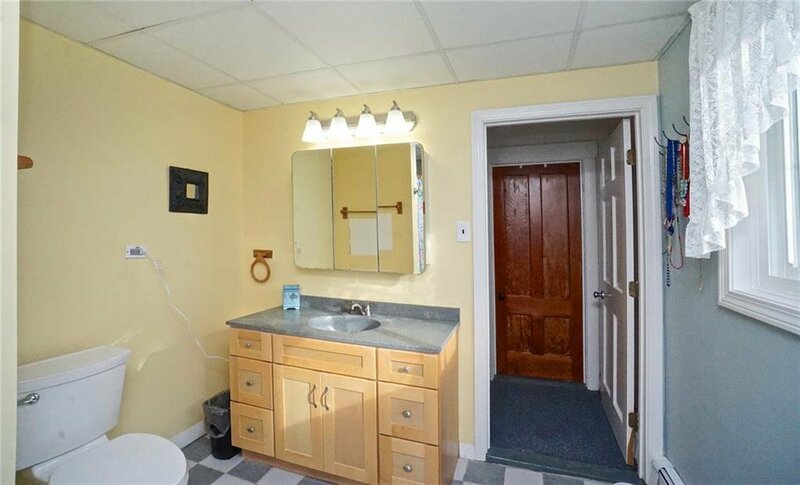 Sited on a 30,000 sq.ft. 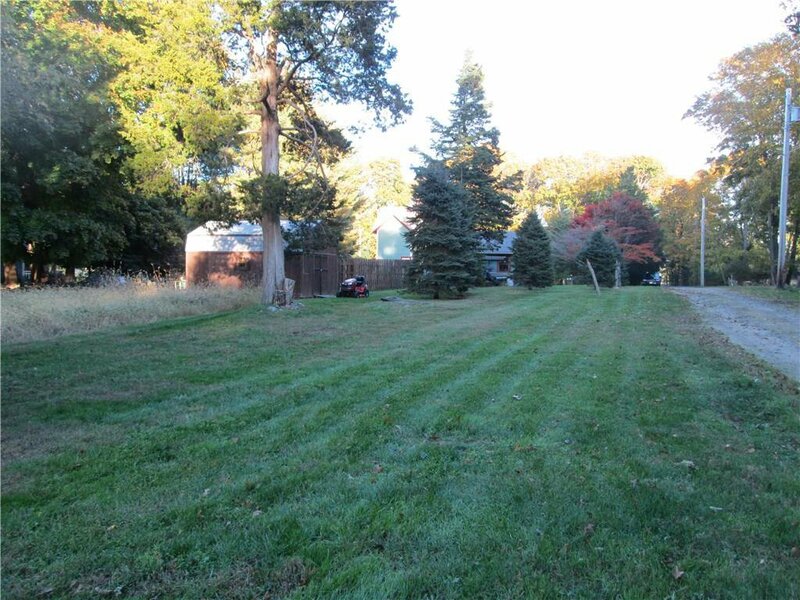 lot and has over 2,400 sq.ft. 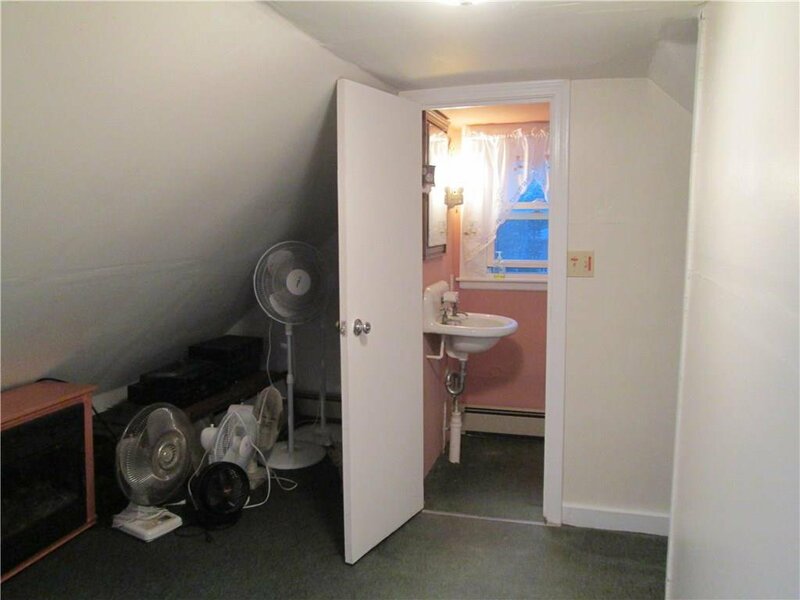 of living space! 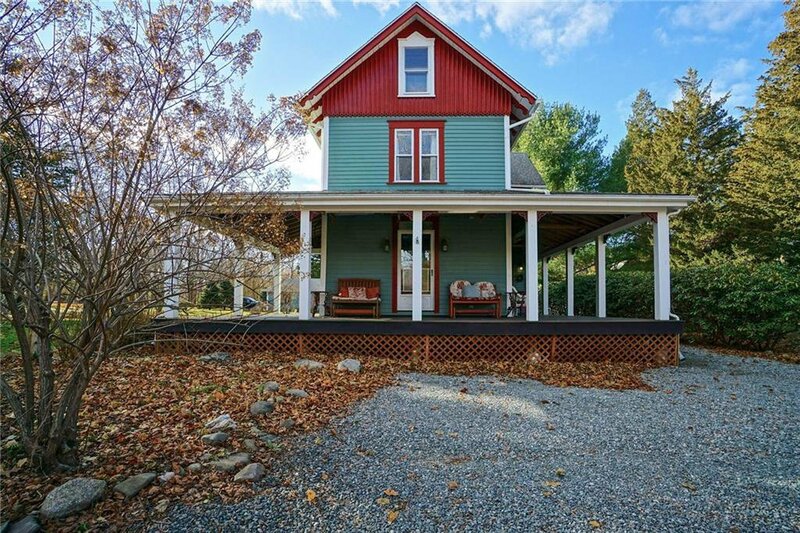 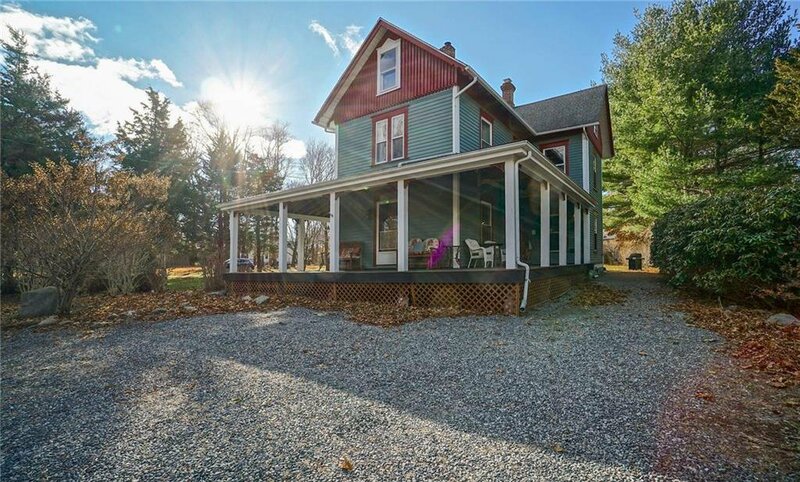 A welcoming wraparound Porch, Foyer, Living Room with woodstove, Dining Room, Kitchen and full Bath with Laundry complete the first level. 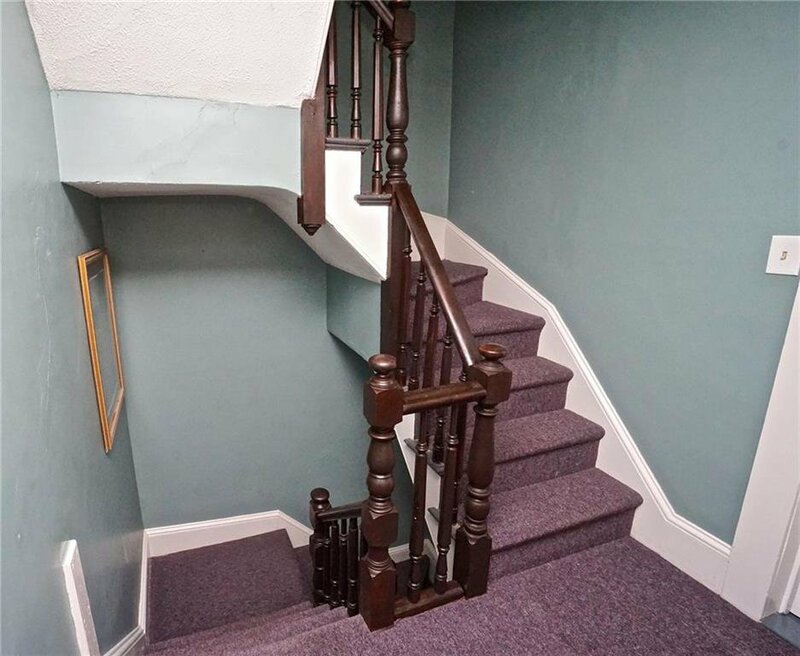 Two separate staircases bring you to the second level, with 3 generous Bedrooms and a full Bath. 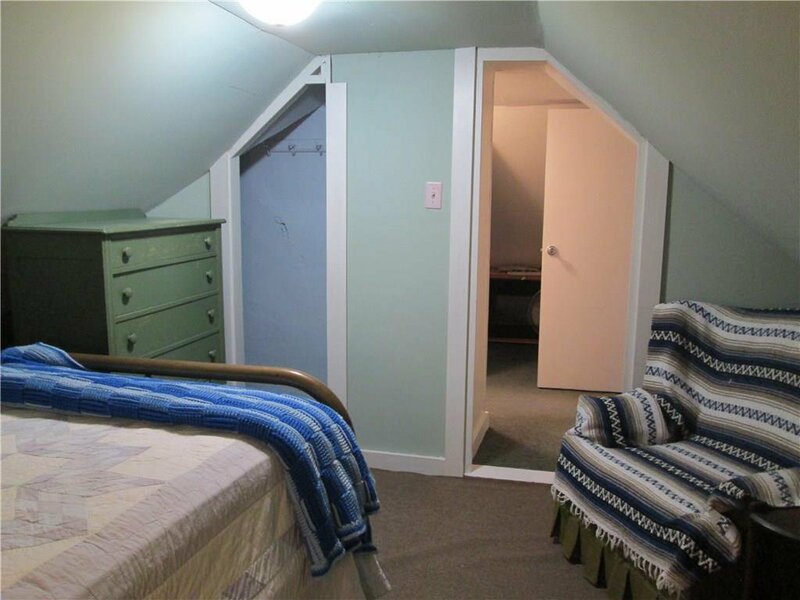 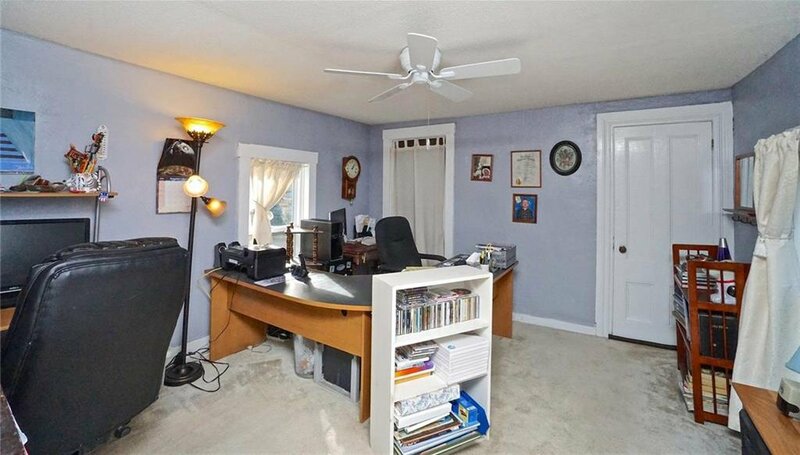 The third level has an additional Bedroom with Sitting Room, a Lavette, and a home office or exercise room. 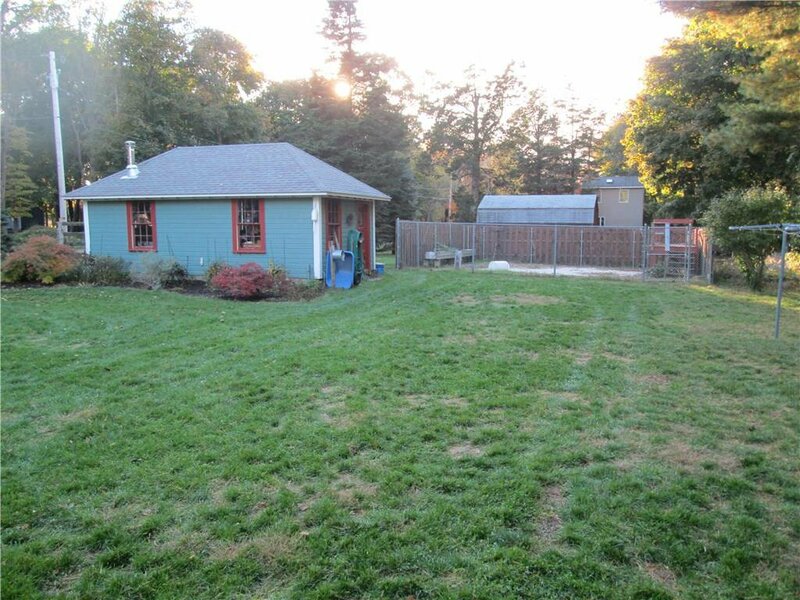 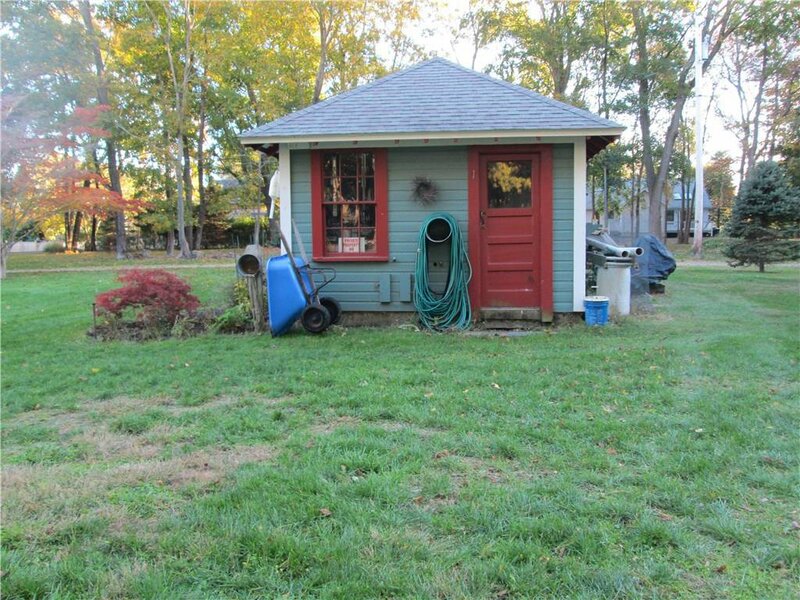 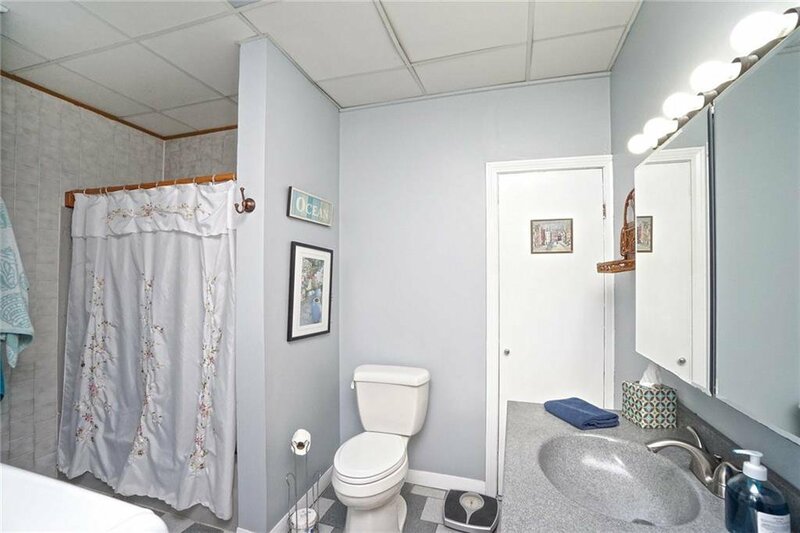 A detached Garage and large outbuilding are on the property, great for gardening space, workshop, or art studio! 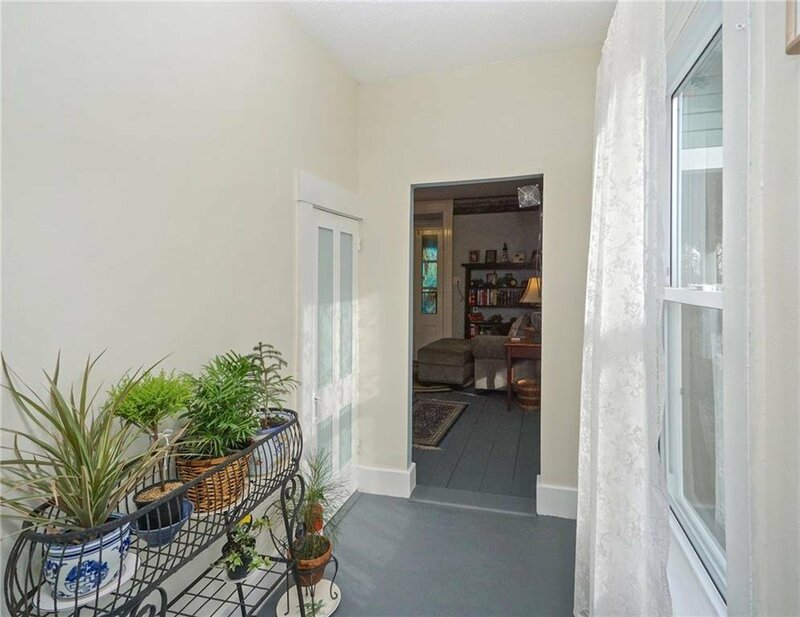 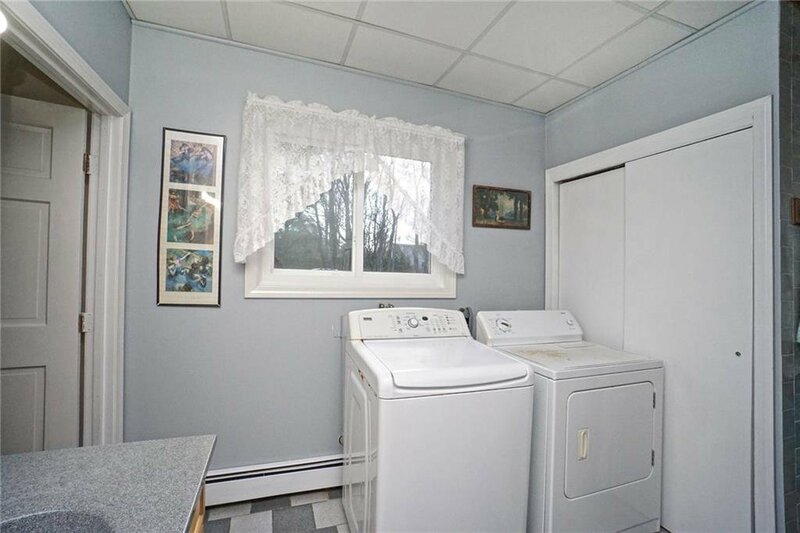 Distant waterviews and close to an area beach too!